What is causing a movable static mesh to get black lighting from a static light when in certain spots? This has been a recurring problem in my game. 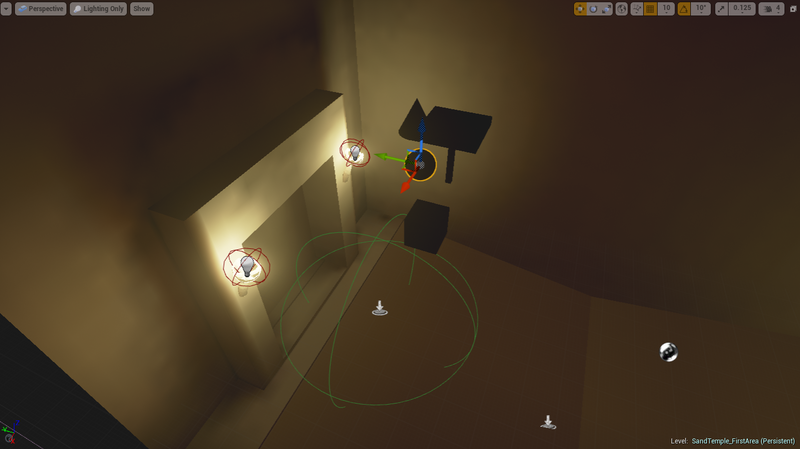 Objects suddenly and quickly fade to black whenever in certain areas of the world, but I can't find any direct link between distance to the light sources. -Dynamic and stationary lights still light the object. -The meshes are set to movable, and they do not have "light as if static" ticked. -Removing all light sources except one does not solve the problem. -The lighting change happens in real-time, in game, as well. 3 of the 4 meshes in the pictures are the included static meshes with UE4. This seems to me as if it's a bug in UE4, but I want to be sure it isn't my mistake before making a bug report. Actor is now moved 10cm on the Y-axis, and now black. From everything you've described this is acting as I would expect it to. This movable object is set to "Light as if static"
Now when the object is moved out of the lights radius it is no longer lit the way you would expect right? OK. now if I'm correct on all these accounts, this is exactly how the engine should work with dynamic objects in statically lit areas. In the editors viewport you can go to Show > Visualize > Volume Light Samples. This will enable the volume light samples to be visible for debugging purposes. 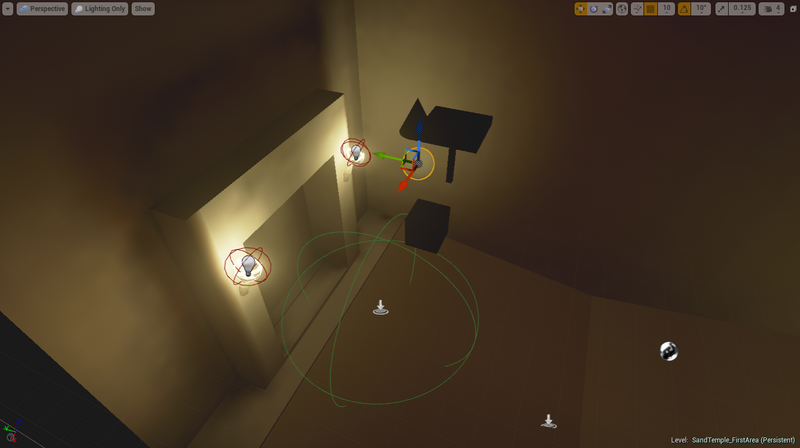 This is ultimately how dynamic objects can be lit (without shadow casting) in a statically lit environment. Let me know if you have any follow up questions or I'm misunderstanding what you've got in your scene setup. The movable object is -not- set to "light as if static". I want the movable objects to be dynamically lit, but still use static lights for static objects. But thank you very much for that link! The solution was indeed to add a "LightmassCharacterIndirectDetailVolume" to the area. Thank you! bp_waterplane showing up black in ark dev kit.